2010 – Total Vascular Surgery, Inc.
Let me start out by saying, the results are better than I expected, like I have a pair of new legs. I bicycle 4500 miles a year both on road and mountain bikes. My recovery time on a long hard ride was close to 2 days before I could come back to a high level of performance. I used to get cramping right after the rides, and my legs would kind of quiver when walking up or down stairs after the long rides. Now 3 months after both leg procedures, all of those have simply vanished. I feel tired after a long ride, but no cramping, legs are strong, I am recovered overnight, and the archness of tired legs is gone. I would highly recommend this easy outpatient procedure (one leg, then the other) to any and all who feel their life is being diminished by varicous veins. One of the best parts is also, my legs look completely normal. Thanks to Dr. Lim and his staff for giving my a new pair of legs. 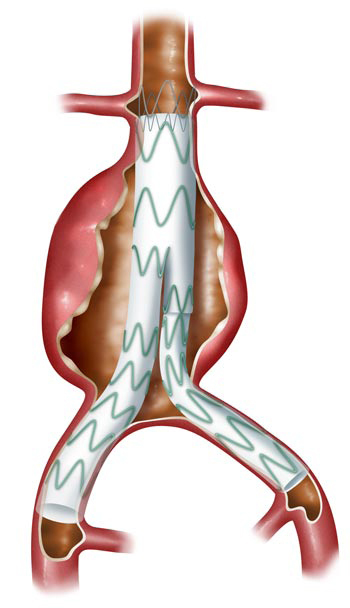 Venous disease is the most common vascular problem in the nation. Among them, varicose vein problem is the most common diagnosis in most Americans both male and female. According to recent statistics, at least 40-50% of American females older than age 45 suffer from some degree of varicose vein problem. With recent developments of the endo-venous techniques, varicose vein treatment has become easier than ever. Office based varicose vein practices have been amongst the most the exciting fields of development for qualified physicians. However, true understanding and knowledge based venous disease diagnosis and their appropriate treatments are very important. Clinical symptoms of venous disease can be very broad. Heaviness or early fatigue on standing can be symptoms of venous insufficiency. Among patients diagnosed with Restless Leg Syndrome, most have been identified as having venous disease as well. Other signs and symptoms of venous disease include swelling, chronic leg pain without clear etiology, cellulites, ulceration, bruises, skin discoloration and so on. Obvious varicose vein protrusion is not the only condition you should be concerned about. Some patients may have swelling problem without any obvious varicosities. 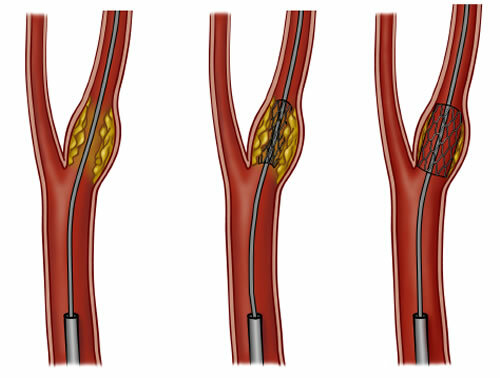 However, their superficial vein system can be refluxing and they could be a good candidate for surgical or endovascular treatment. Radiofrequency ablation therapy has been accepted as one of most popular and credited treatments available today. I personally believe that radiofrequency ablation therapy is a better choice than laser therapy. Greater and lesser saphenous veins, anterior lateral thigh accessory branch and perforators can be treated using this technique. These therapies can be performed in the office setting with safe technique and experience. Individual varicosities striping or phlebectomies can be performed as well at office setting. Of course, individual evaluation and recommendation is very important. 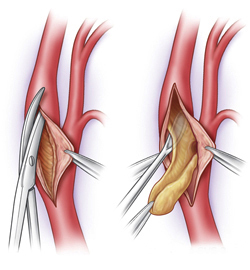 Patients with excessive varicosities and low tolerance to pain should be recommended to do phlebectomies in the hospital. Sclerotherapy is another very common treatment which can be offered to patients. Each individual may require 3-6 sessions of treatment depending on the severity and recurrence. Unfortunately sclerotherapy for spider vein or telengiectasia has been categorized as cosmetic treatment and therefore is not reimbursed from insurance companies. Overall, vein care should be provided to each individual because venous disease can be a life time problem and simple office based treatments can change a patient’s quality of life. 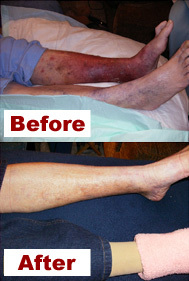 Total Vascular Surgery is going to start a ‘total vein care clinic’ in the year 2009. We have a dedicated vascular lab with a qualified and experienced technician especially for vein disease. We will do our best to provide the total vein care for all your patients. Please make a referral to Dr. Lim if you have patients with chronic leg pain, swelling, varicose vein problem, discoloration, ulceration, fatigue, discomfort, unexplained symptoms, non-healing wounds, phlebitis, restless leg syndrome…etc.